Following his separation from active duty in August 1946, he served in the Air Force Reserves while pursuing higher education. During the Korean War, Williams returned to active duty and volunteered for combat duty. While serving he attended Basic Instructor's School at Craig Air Force Base, Selma, Ala.
On June 23, 1953, while commuting in full service dress from Eglin Field, Fla., back to Selma, Williams politely declined to yield his seat -- third from the back of the bus -- and move to the extreme rear of the bus. This action resulted in his being charged under the Jim Crow laws. In a Crestview, Fla., courtroom, Williams challenged this charge as violation of his Constitutional rights. The Florida judge decided that his court could not hear such a challenge and referred the matter to a higher court, releasing Williams pending the new trial. Williams met with the NAACP's special counsel, Thurgood Marshall. Marshall requested that the Air Force allow Williams to return to active duty, but Williams declined and instead opted to join the New Jersey Air National Guard on May 7, 1954. His entry into the NJANG was paved in February 1948, by Governor Alfred Driscoll, who ignored federal policy mandating segregation and ordered the full integration of the New Jersey National Guard months before President Harry Truman's Executive Order 9981. On May 7, 1954, Williams was assigned to the 141st Fighter-Bomber Squadron, 108th Fighter-Bomber Group, New Jersey Air National Guard, McGuire Air Force Base. 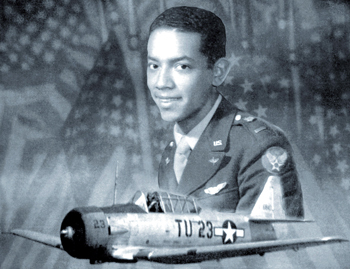 That day Williams not only became the first African- American to serve in the New Jersey Air National Guard but in the entire Air National Guard as well. On May 13, the Eighty-Third Congress convened hearings before the Committee on Interstate and Foreign Commerce. 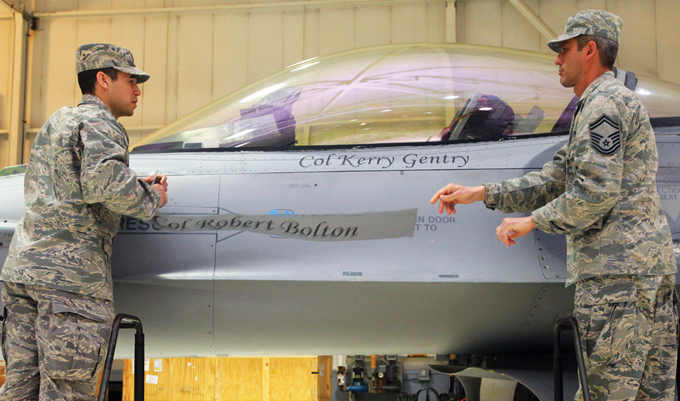 First Lieutenant Thomas E. Williams was the first witness called. His testimony was instrumental in the passage of a bill to amend the Interstate Commerce Act prohibiting the segregation of passengers in interstate commerce on the basis of color or race. Eighteen months later, on Dec. 1, 1955, Rosa Parks also refused to move to the back of the bus. During a routine training mission on Jan. 15, 1955, Williams' F-86A Sabre aircraft entered into an unrecoverable spin. During the ejection sequence, the jettisoned canopy struck Williams' helmet, fatally injuring him. Maj. Arthur E. Martone, Commander, 141st Fighter-Bomber Squadron, wrote to Williams' sister, Mrs. Hilda Picou, "Thomas has been with us just a short time and during the period he lived up to the standards and traditions of the Air Force and New Jersey Air National Guard."